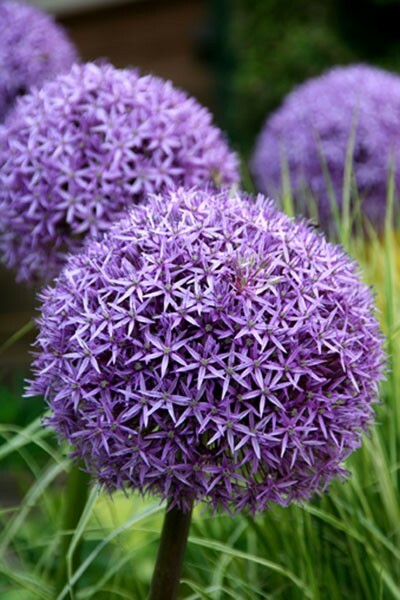 Largish spherical flowerheads made up of numerous star-shaped, deep violet flowers appear in summer. The enormous flowerheads, measuring up to 15cm are a real magnet for bees. Height & Spread 80cm x 20cm. Full sun. Great repeated around the garden for a majestic feel.